If you're an Apple user, chances are high you're already connected to iCloud. If you're new to Apple, you should know that iCloud is a mostly invisible, but important, set of services designed to keep documents and data in sync and current between Apple devices. That means, for example, that if you update contact information on the iPhone, the change gets pushed to all your Macs, iPads, iPod touch devices — any Apple device logged into the same iCloud ID. Beyond simple data syncing, iCloud is used for storage, similar to DropBox or Microsoft's OneDrive. You can upload, share and store documents and data and then access the docs and data from any computer with a web browser. iCloud is also used to store and transfer large attachments sent from Apple's iCloud email addresses. 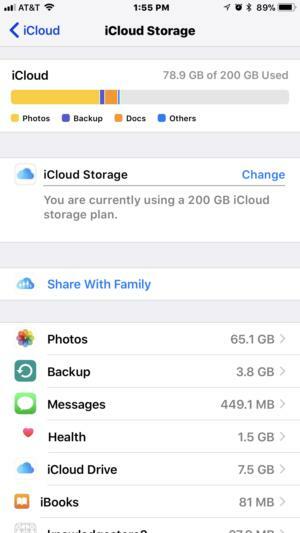 iCloud also stores a backup of the apps and data on your iOS devices, and — in case your device is lost or stolen — iCloud.com allows you to track your iPhone's location, as well as send a message to display on the device, lock the phone, and/or remotely wipe your data. The backups stored on iCloud can be used to restore data to a troublesome iOS device or easily set up of a new iPhone or iPad. That allows you to be up and running as if the new device had always been yours. iCloud.com gives you online access to iCloud services. Apple allows users to buy more storage and pay for it monthly. For many users, especially those who take lots of photos or videos, this is a must. Pricing is in three levels: for 99 cents a month, you get 50GB of storage. For $2.99 a month, you get 200GB of storage. And for $9.99 a month, you get 2TB of cloud storage. iCloud is integral to how Apple's devices communicate with each other. iOS devices logged into iCloud support the Continuity feature called Handoff, which allows for switching between different hardware while performing a task. For instance, you can start an email on the iPhone and, if you want, then complete it on an iMac, mid-creation. It's a useful service if you move from device to device, and is supported in a variety of built-in apps, including Mail, Safari and Apple's version of the Microsoft Office suite (Pages, Numbers and Keynote). iCloud is at the heart of integrating a number of other features — everything from helping you find your friends (or your phone if it's misplaced) to photo syncing and sharing — but the sync, storage and Continuity features are the ones you'll use most. Since iCloud is nearly invisible once it's set up and running, most users won't even think about it — unless an error occurs. Thankfully, there are simple fixes to many common issues. iCloud settings can be viewed and changed in the Settings app in iOS, (naturally enough, under the iCloud section). 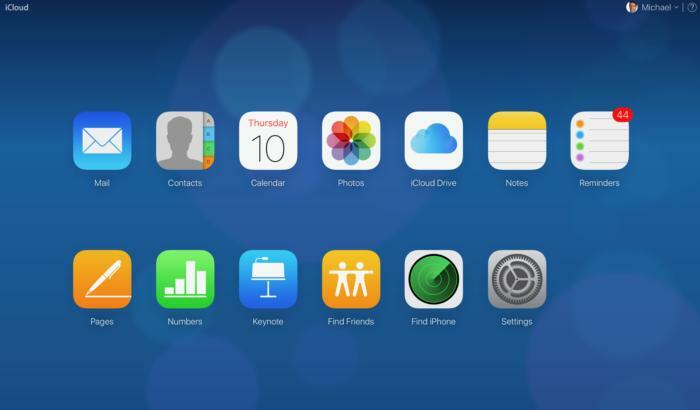 Here, you'll find a list of apps that are using iCloud services. 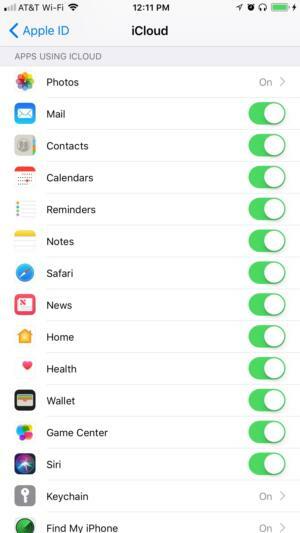 Next to the list of apps, you'll see toggle switches to enable or disable data syncing between your Apple devices for that app. If you prefer that data from a particular app stay local on your device (meaning it won't be shared across devices), here is where you would disable the option. iCloud settings are available in the Settings app in iOS. My advice: For every app that supports iCloud, I have syncing enabled. When I feel the urge to reach for any my Apple devices, I like that the app data will be the same on all of them. I don't have to wonder which device has the most current data. But even if you decide to disable some features, there is one that I recommend you keep on no matter what: Find My iPhone. This vital service lets you track where your iPhone is at all times, even if it's hidden in a couch cushion. You can enable an audible alert — to find it under said couch cushion — but, if the phone is really lost, you can lock it and send a message to display on the Lock screen. Access to these options is available through any web browser pointed to iCloud.com. Besides using the site to track your phone on a map or send a message or audio alert, you can also put the phone into Lost mode. If needed, you can even send a command to erase the phone remotely. 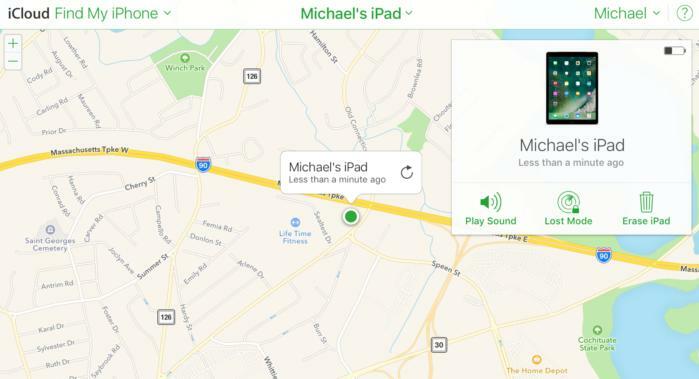 Find My Phone (or in this case iPad) lets you track where your devices are at all times. Your phone will be, effectively, bricked. The next time it is rebooted — even if it has been erased — the iPhone will state that it is locked and will prompt for an iCloud username and password. Without that information, the phone is useless; there's no way to access the encrypted data on it, and no way to boot the phone into a working mode. Under the iCloud section in the Settings app in iOS, there is a spot just for Backup. This is where you disable/enable the backups, force a backup to occur immediately, and can see when your last backup occurred (with the date and timestamp). It also shows whether or not the last attempt was successful. Failed iCloud backups are usually caused by two or three things: an unreliable Wi-Fi connection, an outage in Apple's iCloud service, or a lack of iCloud storage space. If you're having issues maintaining a consistent Wi-Fi connection, troubleshoot the specific router you're using. Sometimes, iCloud services fail. While this used to happen more often, technology outages do occur. If any of the iCloud services aren't working as they should, you can check to see if there is a failure on Apple's Services status page. iCloud storage is used for backups as well as storage of data and photos. Failed iCloud backups due to lack of space are an easy fix, but the fix isn't free. As already noted, your iCloud account comes standard with 5GB of storage, which is fine when you're starting out, but it's easy to fill. When that happens, iCloud Backups do not complete, and an iCloud error displays on the Lock screen stating that storage is full. At this point you can ignore the warnings; disable iCloud (you can back up directly to a Mac or PC using iTunes, so I would recommend you do so if you abandon iCloud); or upgrade storage options to a larger capacity. When an app supports iCloud, documents created with that app can be accessed from any modern device with an internet connection. Just go to iCloud.com. From there, documents created in Pages, Numbers and Keynote are easily accessible from the Launch Pad and can even be edited from within the browser. Other documents are accessed by clicking on iCloud Drive and navigating to the appropriate file. iCloud Drive doesn't support opening all file types but does a passable job with most popular formats. Your calendar, contacts, reminders, notes, photos, and Apple-based email (.mac, .me and .iCloud accounts) are all available from the iCloud.com Launch Pad. This can be helpful if your iOS device ever loses power and you need access to that data in a pinch. Over time, the number of Apple devices connected to an iCloud account can become unwieldy, making it easy to lose track of which ones are still signed in with an Apple ID after they've been lost, handed down or sold. To find out which devices have your Apple ID assigned to them, sign into iCloud.com and click on Settings from the Launch Pad. Under the Storage section, you'll find My Devices. This section will list those devices and give you the option to remove them. Using Settings on iCloud.com, you can also restore documents and data (such as contacts, calendars, bookmarks and reminders) right from the browser and download them to the computer you're using. If you're having trouble logging into iCloud, a password reset may be necessary. For that, you'll want to use this site. Whichever device is critical to your daily digital life — your iPhone, iPad or Mac — the iCloud services embedded in the Apple ecosystem are designed to make everything work as it should: seamlessly and invisibly. Although iCloud has had its share of growing pains over the years, these days it lives up to Apple's best-known boast: It just works.